Have you always wanted professional standard power tools but thought they were inaccessible? Well, hand tools expert Stanley, already world renowned for making the professional tradesman work more efficiently, is using its years of expertise to expand its offering into the power tool category for the very first time. This new range consists of a collection of cordless Lithium Ion powered tools, as well as a full range of corded tools for various tasks. All of the new power tools feature the durability, high performance and ergonomic comfort that the professional tradesman requires from their essential equipment, and each come with a three year warranty as standard. 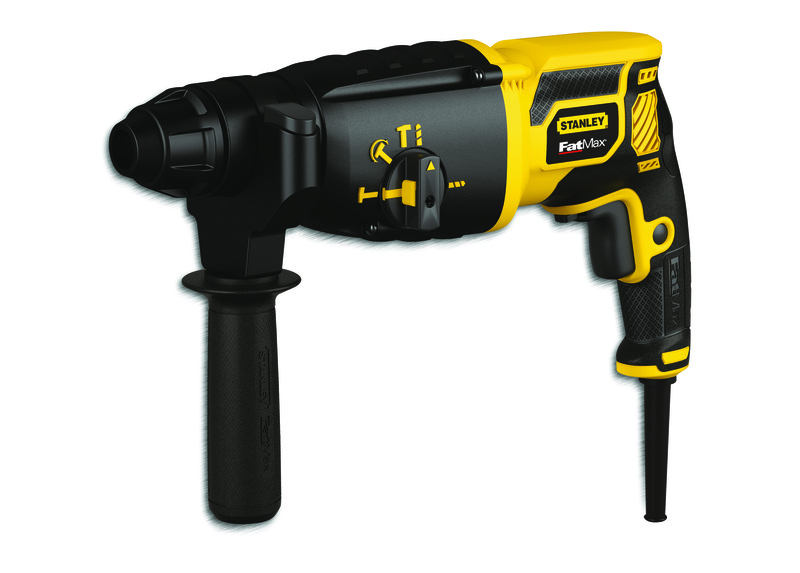 The hero of the cordless offering is the 18v 1.5Ah Lithium Ion (Li-Ion) Hammer Drill. As with all the devices in the cordless range, this new Hammer Drill features an ‘intelligent switch’, which protects the battery against overload and damage when carrying out heavy-duty tasks. The Li-Ion battery also ensures that the tool is ready to use whenever it is needed, with only a 40 minute charge that lasts for the duration of the job. With a class-leading weight and compact size, comfort and control was a priority for Stanley when developing the 18v 1.5Ah Li-Ion Hammer Drill. 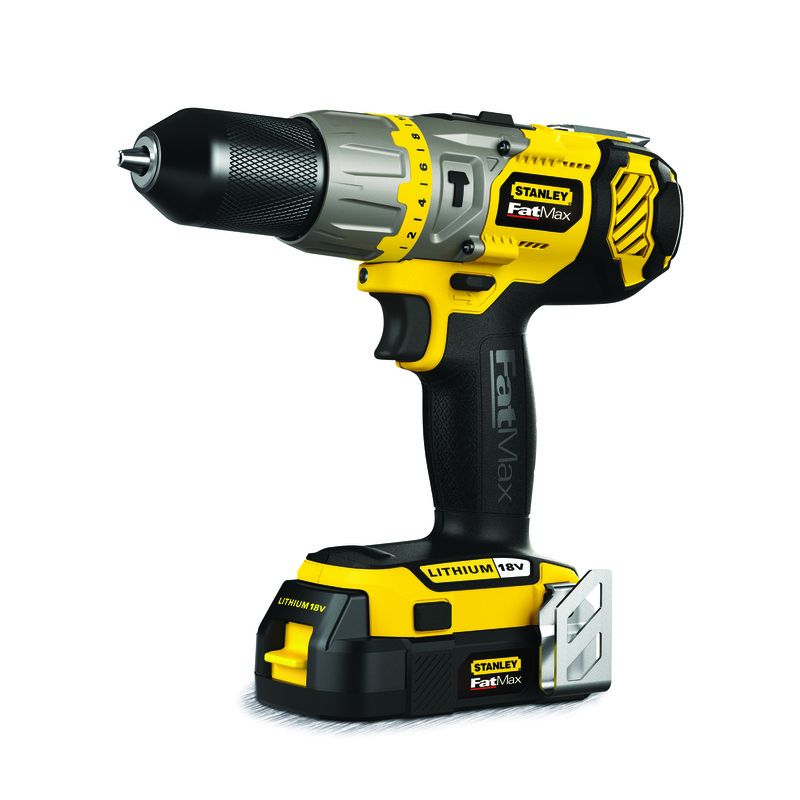 Also available in the cordless range is the compact and lightweight Stanley FatMax 10.8v Drill Driver and 10.8v Impact Driver – both available in a premium kit box. Stanley has ensured maximum durability from its FatMax cordless range, with all metal gearing and single sleeve chuck as well as a tough glass filled nylon casing for ultimate durability. In addition to the cordless range of tools, Stanley FatMax is introducing a full suite of corded tools suitable for all tasks including drilling, woodwork and metalwork. Key products in the portfolio, include an SDS Hammer Drill, one and two gear Hammer Drills, a Reciprocating Saw, 750W Planer and 680W Jigsaw. For the all-round tradesman, Stanley has also included an Oscillating Multi-Tool in the FatMax range, to offer versatility from one tool, whilst still maintaining high performance. All products in the corded range feature an extra-long 4m rubber cable, meaning there is no need for an extension lead and that the tool can be used in all weather conditions without the concern of the cable cracking. As with the cordless range every product in the corded portfolio features durable metal gearing and internal components, as well as the glass filled nylon casing. Additional products in the new Stanley FatMax Power Tools range include an 18v 1.5Ah Li-Ion Impact Driver, 18v 1.5Ah Li-Ion Reciprocating Saw, 2000W Heatgun, 115mm Angle Grinder and Metal Cutting Chopsaw. Stanley has also produced a range of FatMax accessory kits specifically for its new tools.